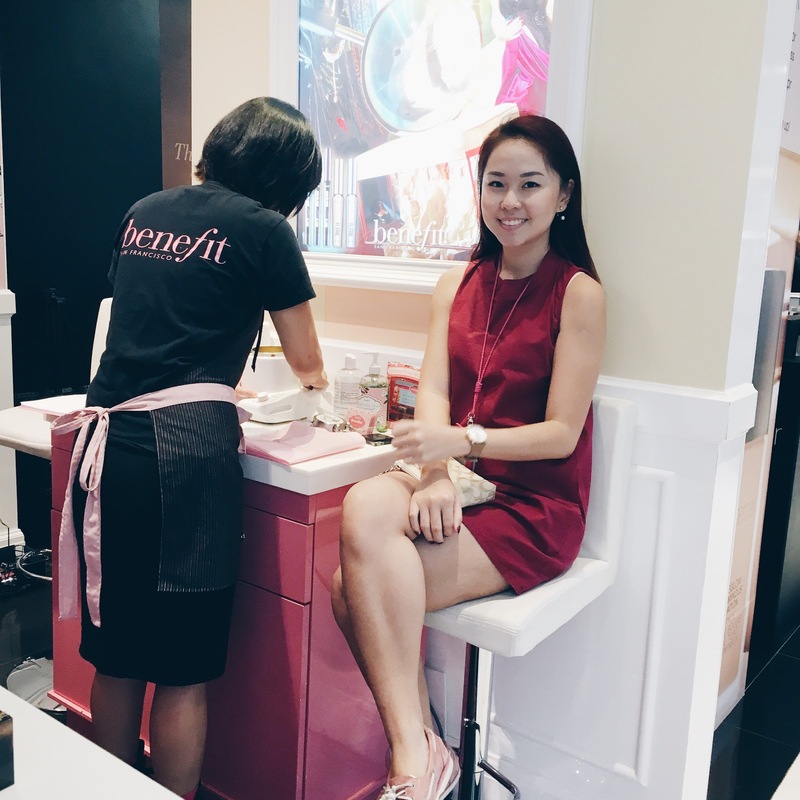 Last Friday I went down to Benefit brow bar at Sephora Ion Orchard to get my brow fixed! I finally waited for all those in-grown hair to grow out, but also to a point I really cannot stand my ugly brows anymore, I knew I had to get them fixed. It's my first time doing brow waxing though! I've done both threading and tweezing before, but I haven't got the chance to try brow waxing. It was a no turn-back situation for me from then on. 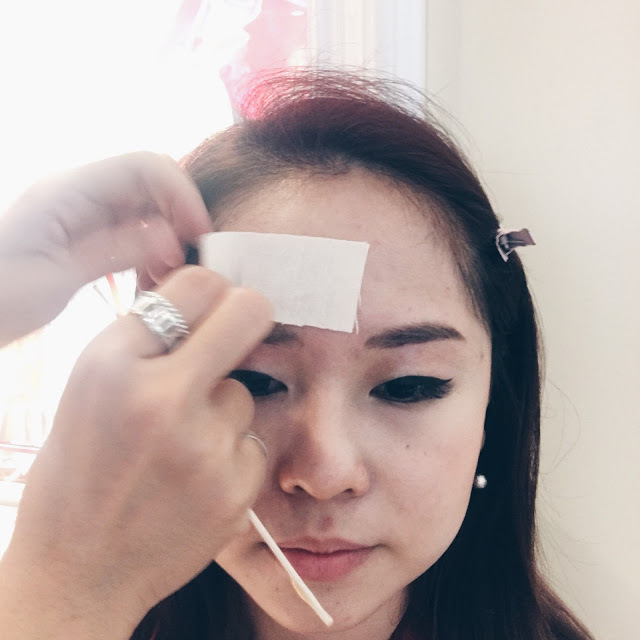 I honestly think brow waxing is so fast and easy, and the time to go through the pain from plucking can be reduced by so much. Here's Jerlyn, the national brow artist at Benefit Cosmetics Singapore! Her schedule is very very packed by the way. 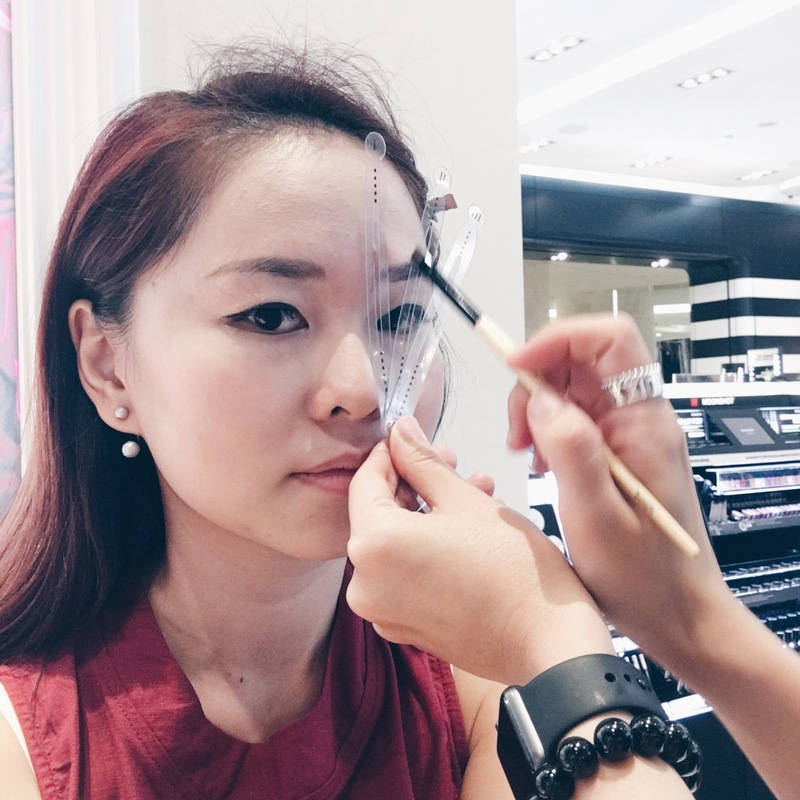 She has just relocated from Ngee Ann city to Sephora Ion. Much more convenience now indeed! Before we start, she removed my eyebrow pencil and started drawing the three points using the brow device for brow mapping. It locates the starting point of your brow, the arch and finally the end. Jerlyn is very patient. 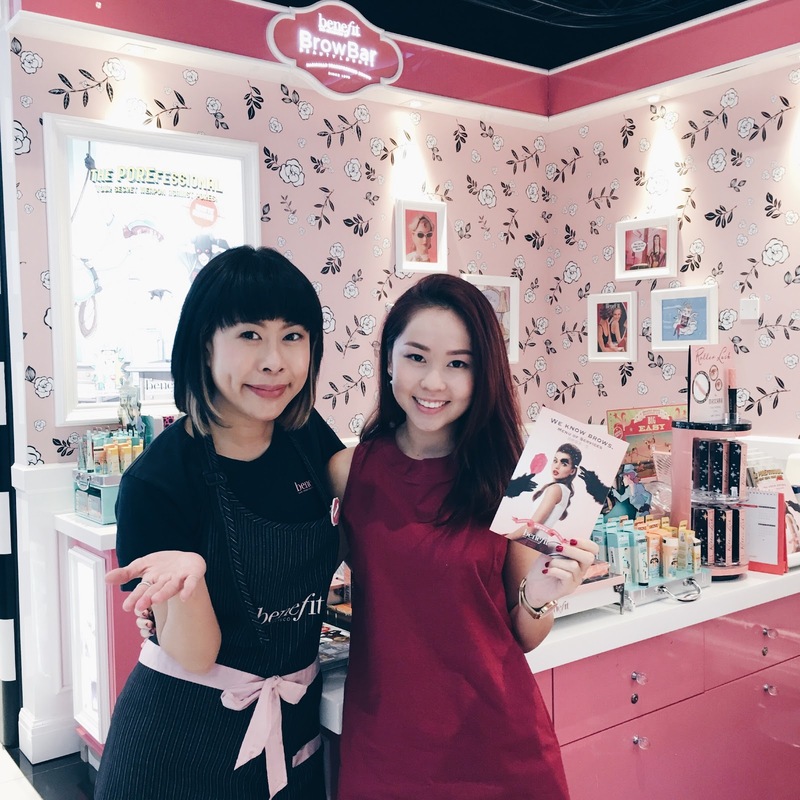 Despite her busy schedule, she doesn't short-change any one and she makes sure that the customer is satisfied with the brow shape that she has drawn on their brows. Dislike it? Tell her and she'll make sure you're satisfied with the brows. Of course, she'll give you her honest feedback based on her experience to decide what kind of brow shape suits you the best. 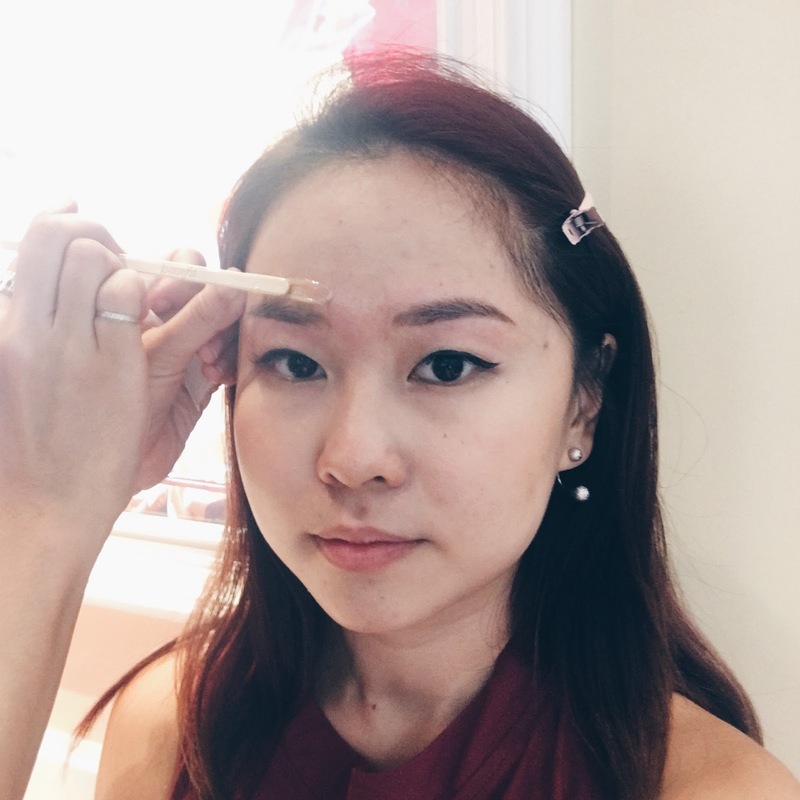 Having the points marked on my brows! Applying the wax. It wasn't too hot on the skin so not to worry. Jerlyn is so experienced and fast by the way. The whole thing doesn't take any longer than 15mins? She just apply the wax, paste the strip and before you know it the wax was stripped off in that split second. #browwaxing isn't that scary at all. After the waxing session, she'll apply moisturizer and even touch up your makeup so that you can still head out without worrying about makeup gone. There wasn't any redness on my skin too despite the waxing! No downtime. 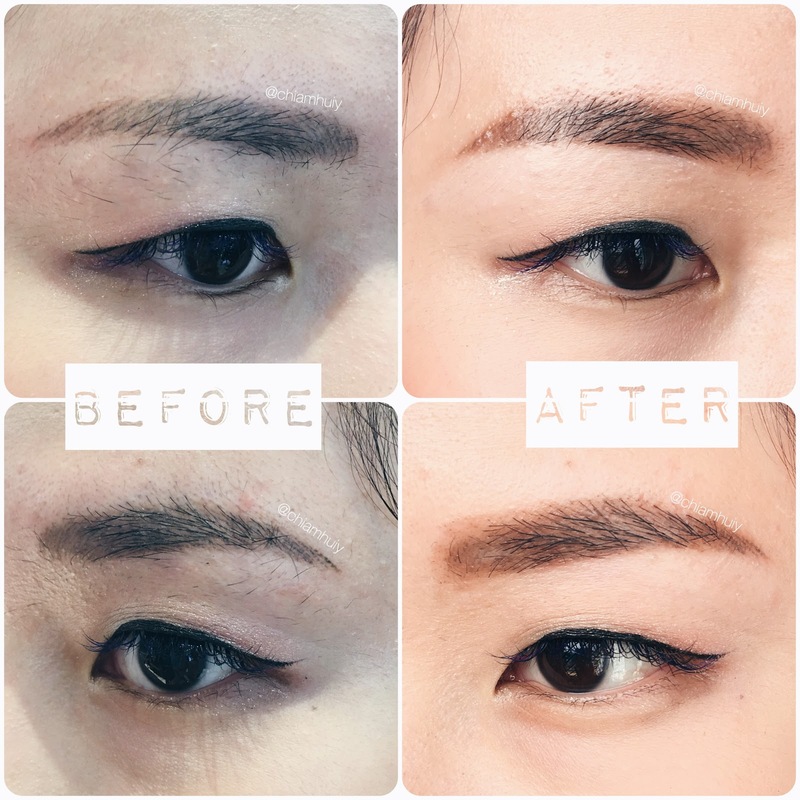 Benefit BrowBar brow waxing - Before and After. Not really! The stripping happens just in a split second and the pain will probably lingers around for 5 seconds or so. It really depends on your pain tolerance. But if you can take the tweezing pain, this shouldn't be a problem because it's so much faster. 2. What to avoid before brow waxing? Facials, medication (esp. steroids which may cause the skin to become thinner) and lasers. These factors will cause vulnerability to your skin and may result in skin peeling during the waxing. 3. 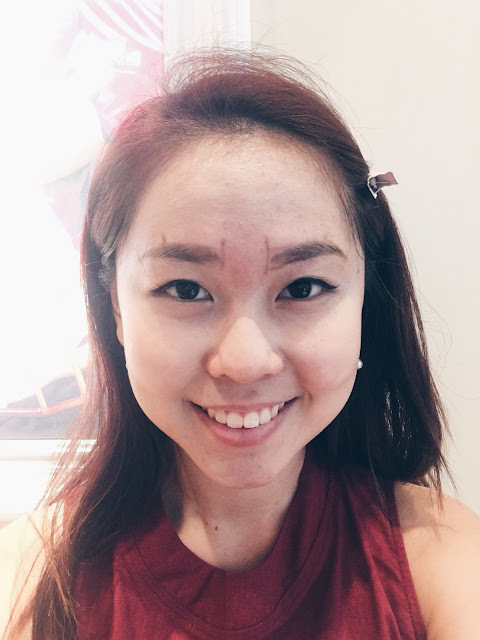 What to avoid after brow waxing? No scrubbing for at least three days. No hot showers as well. Other than that, nothing I know of! Not only is it the fastest, it's also the method that delays the growth of new hair the longest. Thank you Jerlyn and Benefit Cosmetics Singapore for giving me my perfect brows again!